Logan - I'd say this post fits right into the second definition. You could just insert the photo there, and it would be perfect! :-) Also, looking at the box of yarn also makes definition 3 applicable. Definition 4? Not so much. Very cool colors! 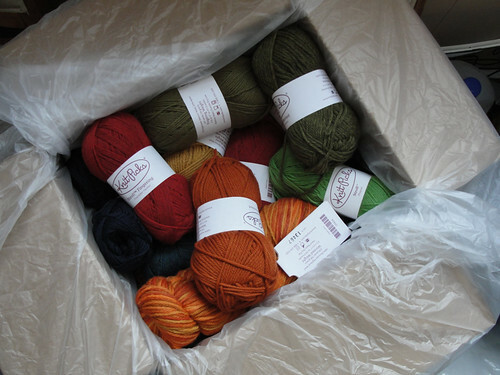 I took the plunge and ordered some black alpaca/wool yarn off the internet.....and it was backordered....poooh. I may try again soon....hopefully with better luck. Do you already have a project in mind for the bright green? Just curious. Yes, I'm going to make those Wasabi Socks we saw in that magazine (I think it was Vogue Knitting).